Come join us! Attend our 7-part Workshop Series and find your mix of humor! 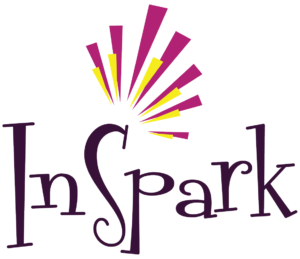 We meet at InSpark Coworking in Lynnwood! Our 8th launch of our popular 101 Series Workshop is here! We’ve finessed the curriculum down to an amazing 7-week Workshop experience and want you to find your mix of humor! • We teach people how to rediscover their own mix of humor using “The Six Methods of Humor™,” methodology and curriculum. • We train you on how to use these skills to become better presenters, public speakers, business owners, improvisational speakers, or even just become better communicators with friends & loved ones! • In order to “Graduate,” All participating students that attend the 7 weeks will also be presenting up to an 8-minute speech on their business or a topic of their choice to an audience as big as we can get to help YOU shine! • End result? You get to gain a level of understanding and confidence with The Six Methods of Humor™! All the while having an amazing time. We always say that students get to “Listen, Laugh, Learn and Try!” Become more like-able, hirable, listenable and profitable today!